With the help of our good friends at the amazing transcoding provider Zencoder we are happy to say we now fully support audio and video uploads in our post editor. Further, now you can also upload any of the document types Scribd supports and we will embed them in your post. 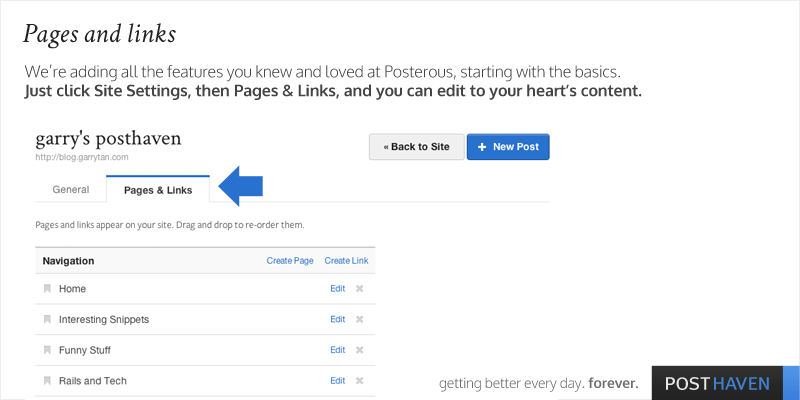 to add images, videos, audio files, or documents to any of your posts. 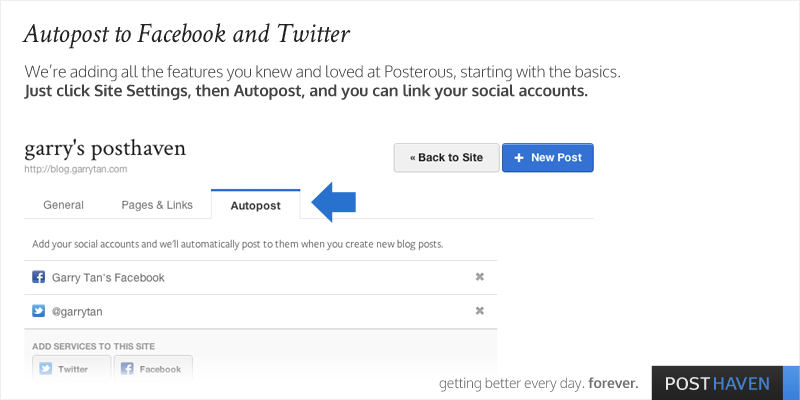 Hi guys -- Brett and I are super busy bringing everything you liked about Posterous back to Posthaven. Here's one of the more basic features that you've been requesting. 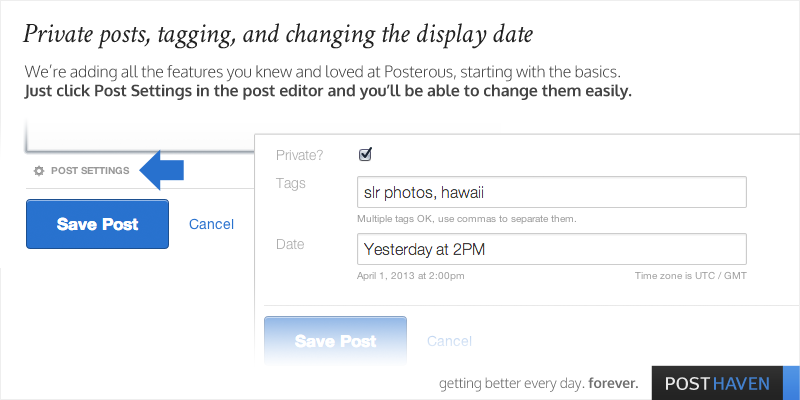 Just hit the post editor (edit a post or click New Post) and now you'll be able to change your tags, set posts to private, and edit the date associated with your post. We're working every day to bring back the things you want. Upcoming features this week include video and audio transcoding, editing pages and links, and autopost to Facebook, Twitter, App.net and LinkedIn. As always, email us anytime at help@posthaven.com if you have questions. Thanks for your support.